The Low Dutch Meetinghouse was built in 1824 by the original settlers, who were of Dutch decent, in the Pleasureville, Defoe and Cropper area. 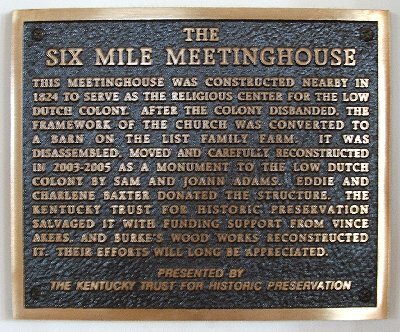 The Meetinghouse was built in the heart of 5,600 acres of land purchased from Squire Boone, Daniel Boone's brother, in 1786 and served as the religious center and housed community gatherings. The Dutch colony held its last meeting in the Meetinghouse on May 9, 1831, at which time the Low Dutch Company’s business was closed. The land which was held in trust by the Company, and was deeded to the individuals who held title through the Company. These lots, or plantations, were about 200 acres in size. The Meetinghouse sat on a three acre lot and went by "The Six Mile Presbyterian Church." The church moved to a new brick church in North Pleasureville on September 10th, 1857 and changed its name to the Pleasureville Presbyterian Church; in 1925 the church merged with the Eminence Presbyterian Church. 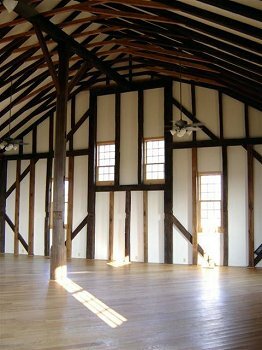 The original timber-frame building was moved from its primary site to the George List farm nearly adjacent to its original site. There it was used as a stock barn until 2004. 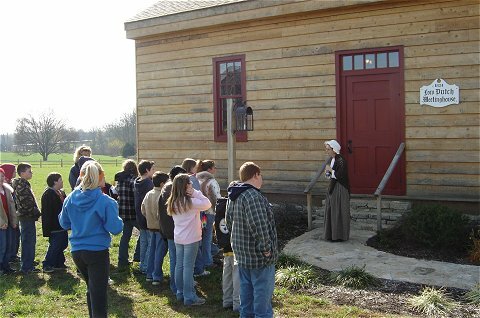 With the technical help of the Kentucky Trust for Historical Preservation, Sam and JoAnn Adams mapped, moved and reconstructed the Meetinghouse on their farm, which is in eye sight of its original site. 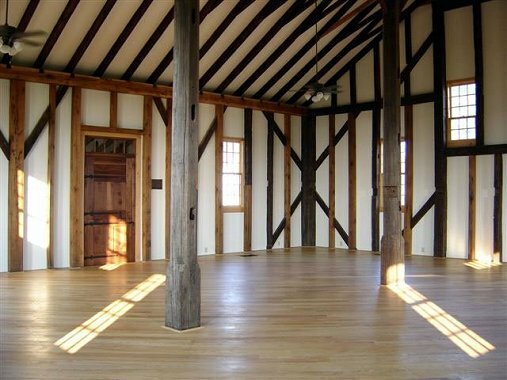 The Low Dutch Meetinghouse will now remain in the heart of the original Dutch colony and will be open to the public to come and see, learn and share in the area’s history. A copy of the original Sessions Book of the church is kept there as well as other histories and information on the Dutch ancestors. A fiber art studio and gallery is being housed in the building also. Hand crafted woolen items from wool raised on the farm as well as other area artists and crafters offerings are for sale in the Meetinghouse. Lessons in processing fiber, spinning and knitting are also available. 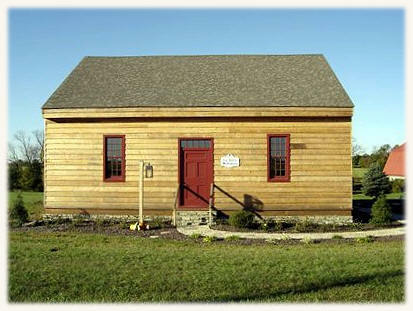 The Low Dutch Meetinghouse was the center of community activity in the Low Dutch Colony during the early 1800’s. Sam and JoAnn Adams reconstructed the Meetinghouse on their farm in 2005. 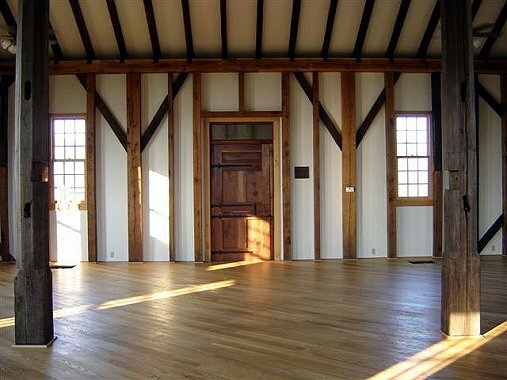 The Meetinghouse is now home to “Sweet Home Spun”, a spinning and knitting studio featuring hand spinning and hand knitting from the farm’s flock of natural colored longwool sheep.